An engine fire long ago destroyed OE sound deadener material on engine side of fire wall. Any suggestions on an appropriate sound deadener to replace it? Can dynamat or equivalent take the heat? Can it be painted over or covered up with something else to make it look a little nicer? I would think Dynamat would take the heat, and I made Stainless Steel Body Panels that cover the back of the firewall. That would hold the dynamat (or whatever insulation you decide to use) solidly against the firewall. I CermaKromed the engine side and applied Dynamat and foil heat shielding on the cabin side. Rocky's "L" Model - #5357 <= This is a Link! 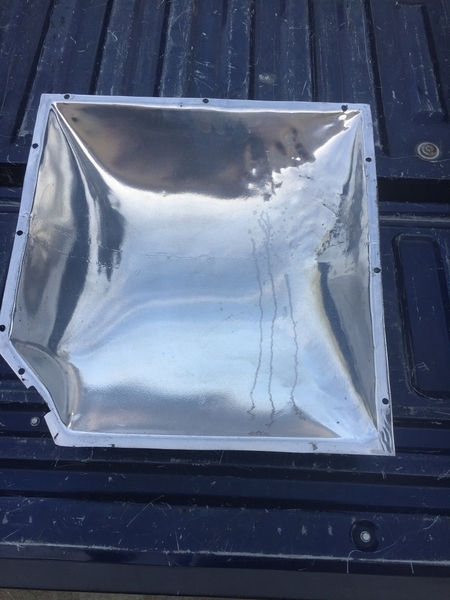 You can go to this thread (on the first page) and then scroll down until you see "Stainless Steel Firewall Covers... ", you will see what I did. Lots of good ideas in this (Larry's) thread. Here is one painted on the cabin side and Dynamated on the engine side. Cabin side insulation is intact on firewall and bulkhead cover so we're going to leave those surfaces alone. For now it's engine side only. The project bulkhead cover has two metal fingers projecting from the bottom that engage two slots in the bulkhead framing. I don't see them in the photos above? Seems like you ultimately piled on a few layers there. 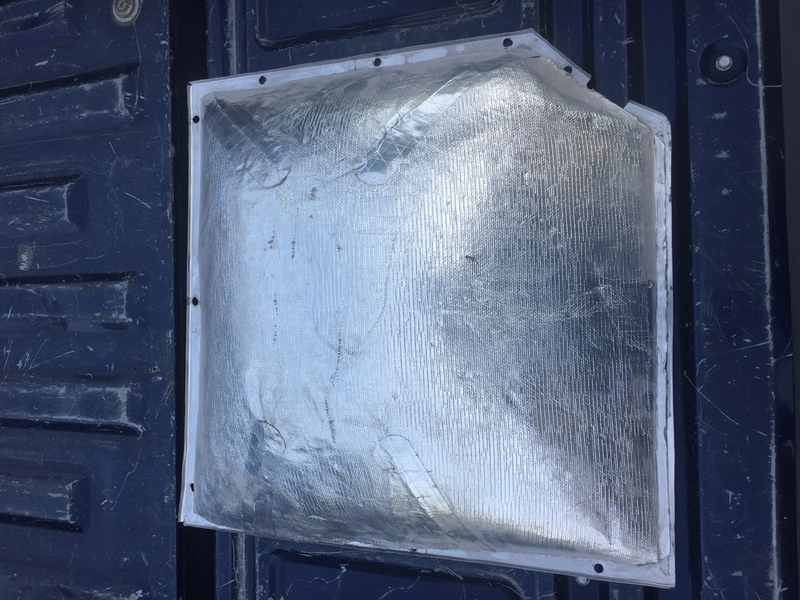 Original stuff, added insulation layer, metal panel. Did it cause you any pain later putting the gas tank back in? Any undesirable contact between tank and metal panel? I'm thinking maybe just the DEI product. At the moment the intention is to get to know and enjoy this car for a year or two before she comes apart again for the full monty. The DEI stuff seems to run about $10/s.f. Speedway motors has best price I could find. I have what I would consider "minor interference" with a few spots on the tank. I solved this by putting a few strips of an adhesive backed neoprene material between the tank and the cover. It's really there for my own mental happiness. I certainly didn't have to force either the tank or the cover into place. I can't say that about every car. The biggest interference problem I had was with my "outboarded alternator" for the bulkhead reduction kit. That required me to cut a section out of the SS panel on the passenger side.